Host Shania Twain was the big winner at the 2018 Canadian Country Music Association Awards (CCMAs) in Hamilton, where she took home four honours: Top Selling Album of the Year, Top Selling Canadian Album of the Year, the CCMA Generation Award, and the Fans’ Choice Award. Terri Clark was inducted into the Canadian Country Music Hall of Fame on Saturday, Sept. 8, at the CCMA Gala Dinner & Awards presented by SOCAN, at the Hamilton Convention Centre. 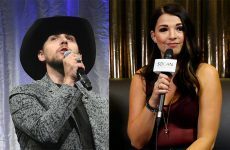 The same night, Brett Kissel took home the CCMA Award for Interactive Artist of the Year for the fifth consecutive year, while The Washboard Union celebrated their third win in the Roots Artist or Group of the Year category. Four-time 2018 CCMA Award nominees James Barker Band took home their first CCMA Awards win for Top Selling Canadian Single of the Year. 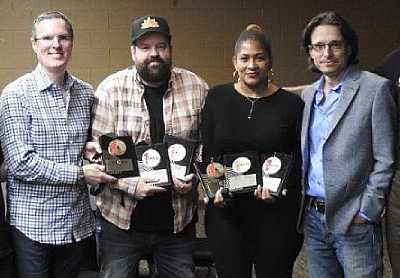 “Chills.” The Songwriter(s) of the Year were Aaron Goodvin, Skip Black, and Catt Gravitt for “Lonely Drum,” performed by Goodvin, while ole was the Music Publishing Company of the Year. At the nationally televised CCMA Awards show, held the next night at the FirstOntario Centre, the night opened with a Shania Twain tribute performed by Album of the Year winner Jess Moskaluke, Kira Isabella, and Madeline Merlo, while later on, international superstar Keith Urban performed his hit song “Never Coming Down.” Other highlights included a collaborative performance from Brett Kissel and Serena Ryder, and a tribute to 2018 Hall of Fame inductee Terri Clark by Suzy Boggus, Jessica Mitchell, Meghan Patrick (Female Artist of the Year), joined by Clark herself. Throughout Canadian Country Music Week (CCMW) conference and festival leading up to the awards shows, SOCAN presented No. 1 Song Awards to Jess Moskaluke and Donovan Woods. 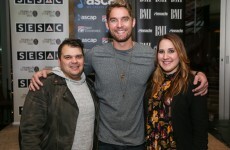 Moskaluke was honoured for Drive Me Away” – co-written with Zach Abend (BMI) and Corey Crowder (ASCAP – which reached the peak of the CMT Countdown Chart on May 13, 2017. “Chills” – co-written with James Barker, Gavin Slate, and Travis Wood, co-published by Warner Chappell Music Canada and ole, and performed by James Barker Band – peaked on the CMT Countdown Chart on May 27, 2017, and on the Nielsen BDS Country Chart on June 19, 2017. “Burn That Bridge” – co-written with Dylan Guthro, Breagh MacKinnon, and Carleton Stone, co-published by Warner Chappell Music Canada and Port Cities Music, and performed by Woods – reached the top of the CBC Music Top 20 Chart on Feb. 22, 2018. “Separate Rooms” – co-written with Megan Bonnell, Chris Stringer, ad Joshua Van Tassel, co-published by Warner Chappell Music Canada and Meant Well Music, and performed by Bonnell – attained the No. 1 spot on the CBC Music Top 20 Chart on May 24, 2018. 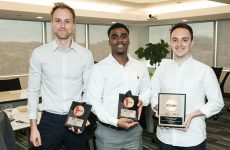 Left to right: SOCAN CEO Eric Baptiste, Donovan Woods, Vivian Barclay of Warner Chappell Music Canada, and SOCAN Board President Marc Ouellette. 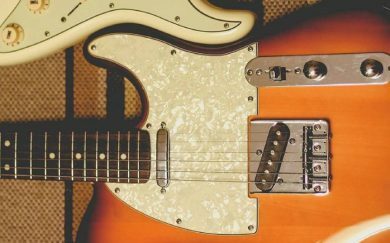 SOCAN congratulates all of its members who won Canadian Country Music Awards and SOCAN No. 1 Song Awards this year! See the Facebook Photo Album. 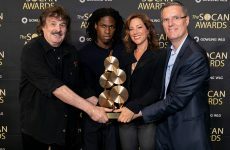 Nelson Minville (centre), recipient of the Prix Stéphane-Venne, flanked by SOCAN’s Geneviève Côté (left) and Eric Baptiste (right). Four the thirteenth consecutive year, the Fondation SPACQ (Société professionnelle des auteurs et des compositeurs du Québec) presented awards to songwriters, composers, and performers at its annual gala, held Sept. 10, 2018, at the National Bank Headquarters in Montreal. 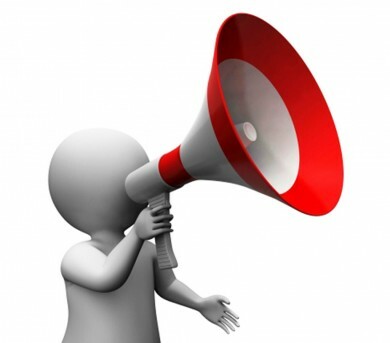 Ten $10,000 grants and eight $5,000 grants were distributed to 18 recipients. The ceremony was hosted for the tenth year in a row by Louise Forestier, and attended by a large SOCAN delegation, including CEO Eric Baptiste, Geneviève Côté, Board President Marc Ouellette, Martin Lavallée, Joël Martin and Alain Lauzon. 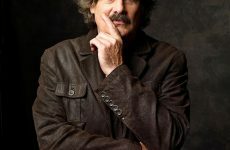 SOCAN also presented the new Stéphane Venne Lifetime Achievement Award for a non-performing songwriter to Nelson Minville. For more information, visit the Fondation SPACQ website. The 29th annual SOCAN’s Montréal Awards Gala on Oct. 2, 2018, at the TOHU Theatre, promises to be the biggest and best ever, with more than 50 awards presented to Quebec’s most successful music creators and publishers. Québec country music legend Renée Martel will accept the SOCAN Lifetime Achievement Award, while Patrice Michaud, who has had another exceptional year, will receive the SOCAN Songwriter of the Year Award. Among the Francophone SOCAN Classics that will be recognized at the Gala are songs popularized by several of SOCAN’s greatest female members, including Marjo, Francine Raymond, Laurence Jalbert, Marie Carmen, Lara Fabian and Hart Rouge. 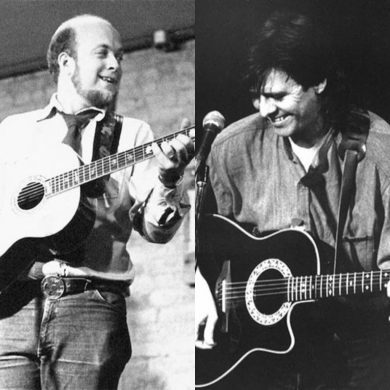 Francophone SOCAN Classics are songs that have achieved more than 25,000 radio plays since being released at least 20 years ago. 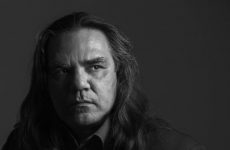 The SOCAN Cultural Impact Award will be presented to Michel Rivard for his iconic song “La complainte du phoque en Alaska,” which was first recorded by 2017 Canadian Songwriter Hall of Fame inductees Beau Dommage. The song has made a profound and lasting impact both at home and around the world. Jim Corcoran will be presented with the SOCAN Special Achievement Award for his work as a proud ambassador for Francophone music to Anglophone audiences for the past 30 years. The presentation comes only a short time after the end of his tenure as host of CBC Radio One’s À propos. The versatile composer Jean-Olivier Bégin will receive the SOCAN Screen Composer of the Year Award, particularly for his work on such productions as Contes du Centre-Sud, ICI Urbania, and Sexplora. Montréal-based SOCAN members Arcade Fire and AC – a rising star of the global Latino music scene, who’s co-written songs for Justin Bieber, Ricky Martin, Britney Spears, Selena Gomez and Niki Minaj – will both receive the SOCAN International Achievement Award for their spectacular success worldwide. The SOCAN Pop Music Awards will be presented to the most-performed songs of 2017, and Loud, Québec’s young rap prodigy, will receive both the Urban Music and the Breakout awards, sharing the latter with the phenomenal Hubert Lenoir. Other winners will include Bobby Bazini, who’ll take home the SOCAN Pop Music Award (Anglophone) for “C’est la vie”; Patrick Norman, who’ll accept the SOCAN Country Music Award; and Snails, an emerging presence on the global EDM scene, who’ll receive the SOCAN Electronic Music Award. The outstanding contributions of music publishers will be celebrated when the SOCAN Publisher of the Year prize is announced at the Gala. The full list of the 2018 SOCAN Award winners will be released on the evening of October 2, 2018. 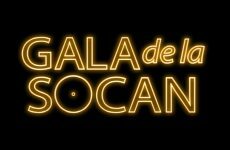 The SOCAN Montréal Awards Gala is the French music complement to the annual SOCAN Awards held in Toronto for songwriters, composers and music publishers who work mainly in English.